The 2005 issue of The Atlas Undergraduate Journal of World History was done in collaboration with Simon Fraser University. 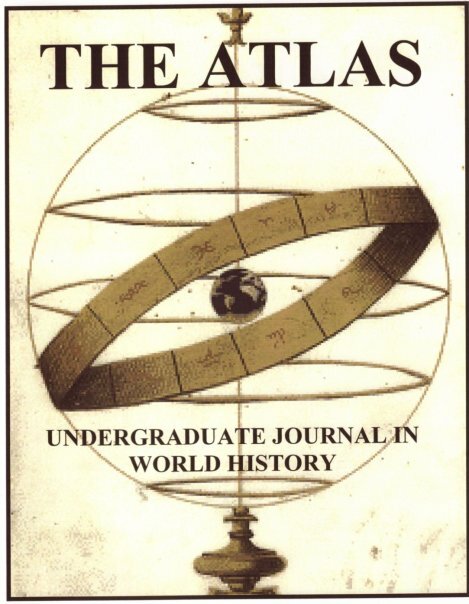 The 2005 edition of The Atlas is a publication of the History Students’ Association of the Alma Mater Society of UBC and the Simon Fraser University History Students’ Union. The UBC logo, the SFU logo and the names ‘UBC’ and ‘SFU’ are Official Marks of the Universities and are used with permission. The content of the 2005 edition of The Atlas is copyright of the History Students’ Association of the Alma Mater Society of UBC and the Simon Fraser University History Students’ Union. The content of this journal may not be copied, distributed, or reproduced by any means or in any form without first obtaining the written permission of the UBC International Relations Students’ Association. The opinions expressed in the articles do not necessarily represent those of the Editorial Staff, the student associations, or the universities.